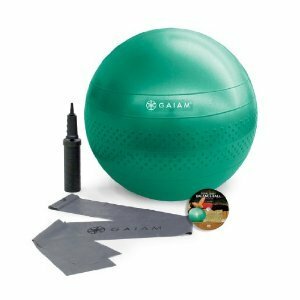 The Gaiam Total Body Balance Ball Kit with Pump & DVD is a must have for anyone looking to get serious with the conditioning of their core. Made of rubber and featuring a textures surface that offers its user maximum control, this exercise ball is perfect for strengthening and toning your gluts, back, arms, hips, and basically another other muscle group you would want to target! These balls are great for helping improve your body’s natural balance and core strength while helping you work towards your health and fitness goals. Maybe you’re just in the market for an exercise ball to help you ease into the world of fitness, or maybe you’re just looking for an easier way to work on your posture. Either way, the Gaiam Total Body Balance Ball can definitely put you on the path to success. As a matter of fact, many people replace their work chair with the exercise ball, and notice results just from sitting on these balls a few hours a day. 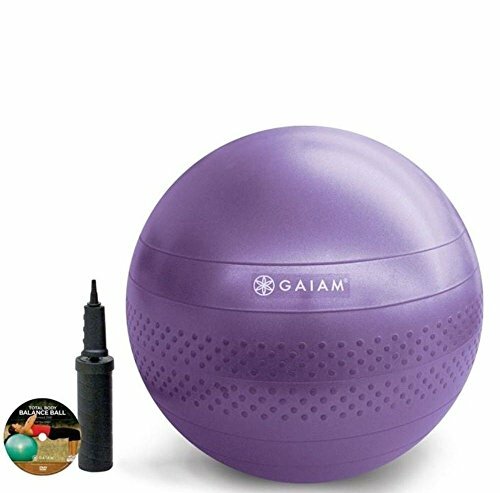 However, if you’re looking for a more intense and straightforward approach to fitness, the Gaiam Total Body Balance Ball has you covered. This high quality, anti-burst exercise ball can withstand any grueling exercise you put it through. By allowing you to elevate different parts of your body at a time, the ball gives you the unique opportunity to work different muscle groups separately without ever having to jump onto a machine or leave the comfort of your own home or office. 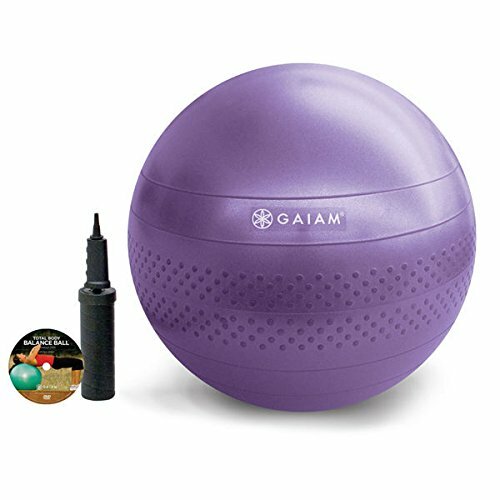 The Gaiam Total Body Balance Ball Kit comes in three different sizes: 55 cm, 65 cm, and 75 cm. Remember to always get the ball that is perfect for your height, as you want your knees to be bent at a 90 degree angle when sitting on your chose exercise ball. This not only maximizes the results you’ll get from working out with your exercise ball, but it will also sure that you will get the most from your chosen ball just by sitting on it and maintaining a comfortable balance. 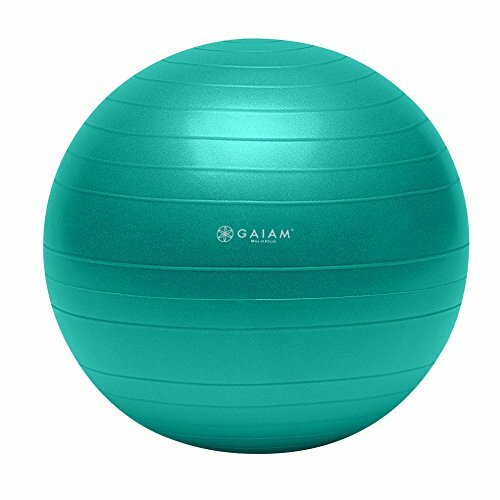 The Gaiam Total Body Balance Ball, when fully inflated, measures approximately 29.5 inches by 29.5 inches by 29.5 inches and is designed to be used comfortably by anyone, no matter their skill level. The ball is also light, approximately 4 oz., and is perfect for those suffering from joint pain or injury but still wish to maintain a healthy and active lifestyle.